.The Motorola Moto Turbo was touted as a powerhouse when itlaunched. Everything from videos to games ran without hiccups on this phone. The Moto Turbo scored 52,686 points on the AnTuTu benchmark test, the highest any smartphone had ever scored. It came in the market boasting a stellar set of specifications - a pixel density of 565ppi, and a 5.2 inch screen with Corning’s Gorilla glass 3 for protection from scratches. The company climbed new heights with its launch and ballistic nylon at its back gave it ample publicity. While the performance was phenomenal, its camera lagged behind. With competitors such as Nexus 6, Sony Experia Z3 and Samsung Galaxy Note 4, the phone as a package wasn’t very impressive. It entered a market increasingly producing selfie-focused phones, and Moto Turbo with its 2 megapixel front camera and high price didn’t impress its consumers much. So it’d be understandable if you’re itching for an upgrade. But before you do - remember that selling your old Motorola Turbo is an extremely convenient idea, thanks to Cashify! 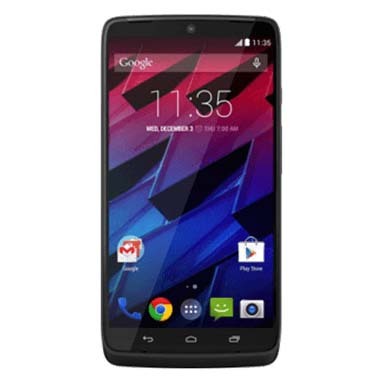 Why Sell Your Motorola Moto Turbo On Cashify? Cashify offers you a complete solution to sell your old mobile online. It offers you with the best price for your smartphone, a claim backed by its exclusive partnerships with smartphone giants such as Xiaomi, OnePlus, Apple and more. All you have to do for selling your phone is head over to Cashify’s website and select in your phone model. 1. Cashify’s transparent pricing mechanism generates the best price when selling your old phone online. All it needs are basic details like – the warranty status, model variant and the device’s condition. 2. The platform then generates a fair price for your device, and once you’d like to proceed, the transaction is completed with a doorstep pickup so that you can easily sell your old smartphones while sitting at home. 3. Cashify’s agents will deliver the cash for your Moto Turbo right at your doorstep in any form of your choice - cash, cheque or even e-wallet. While it has been some time since Moto Turbo has been in the market, it can still fetch a good amount of money. Go ahead and make the most of your old phone while you can! Cashify is the most trusted platform in India to sell mobiles online for instant cash on pickup.